All products reviewed were purchased by myself. I was looking through my polish with my mind set on wearing green. I kept pulling out green after green and each one just didn’t give me that “I’m the one” vibe. 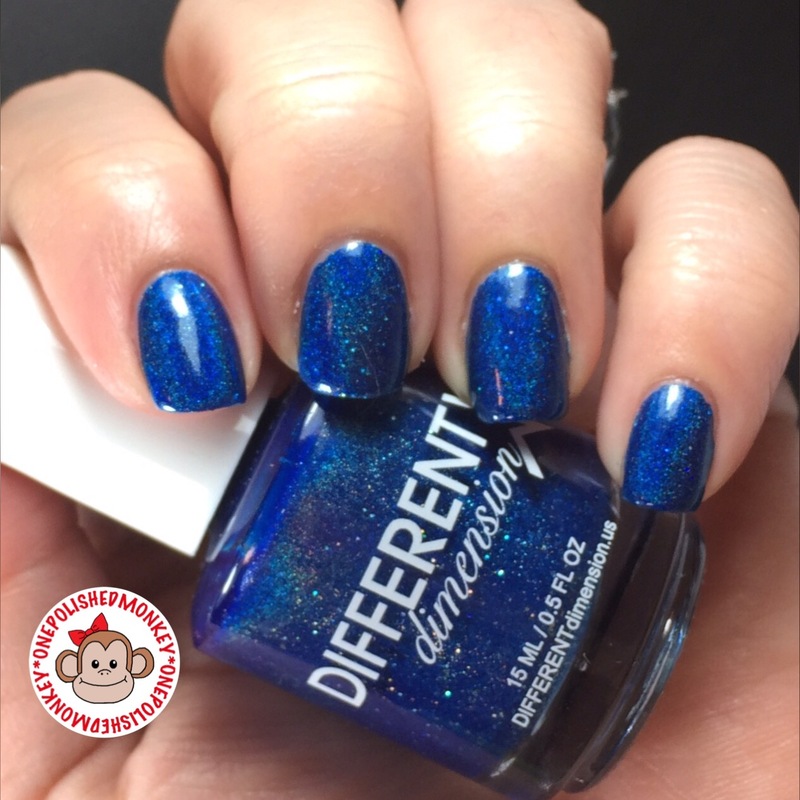 I open my indie drawer and the first polish that caught my eye was this holo blue goodness. At first I resisted its pull and went on searching for a green. Nothing spoke to me like that blue did. I kept telling myself I didn’t want to wear blue again since I just had it on a couple days ago. But you know what? 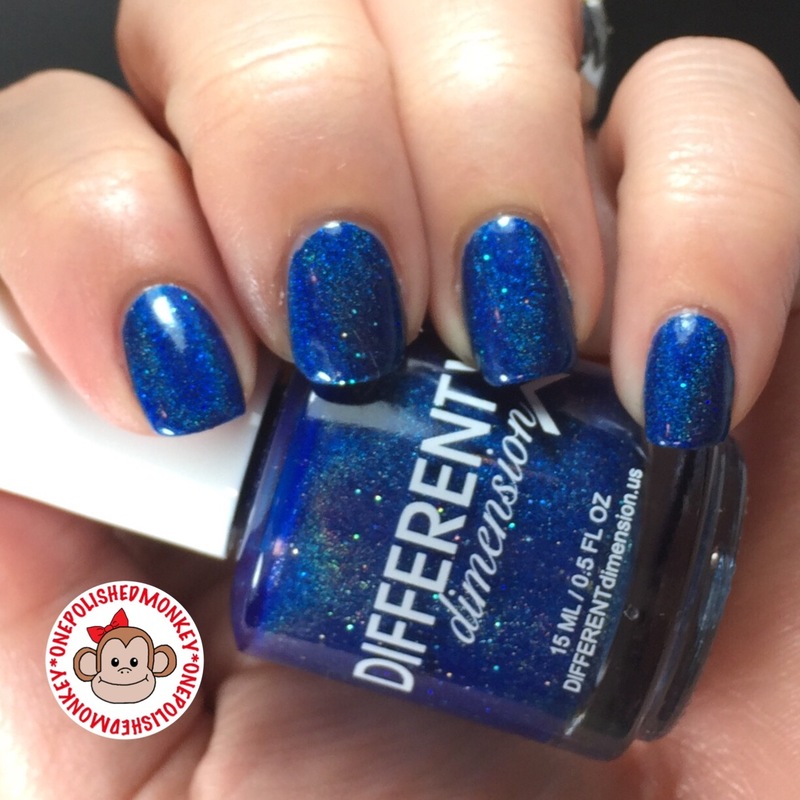 WHO CARES that I wore two blue polishes in the same week! My coworker may be the only one that will notice and she isn’t into polish. Trust me I have tried to convince her but her favorite past time is football. So while we are on completely different ends of the hobby spectrum she does amuse me by asking about my polish on a daily basis. Thank you Kassi. 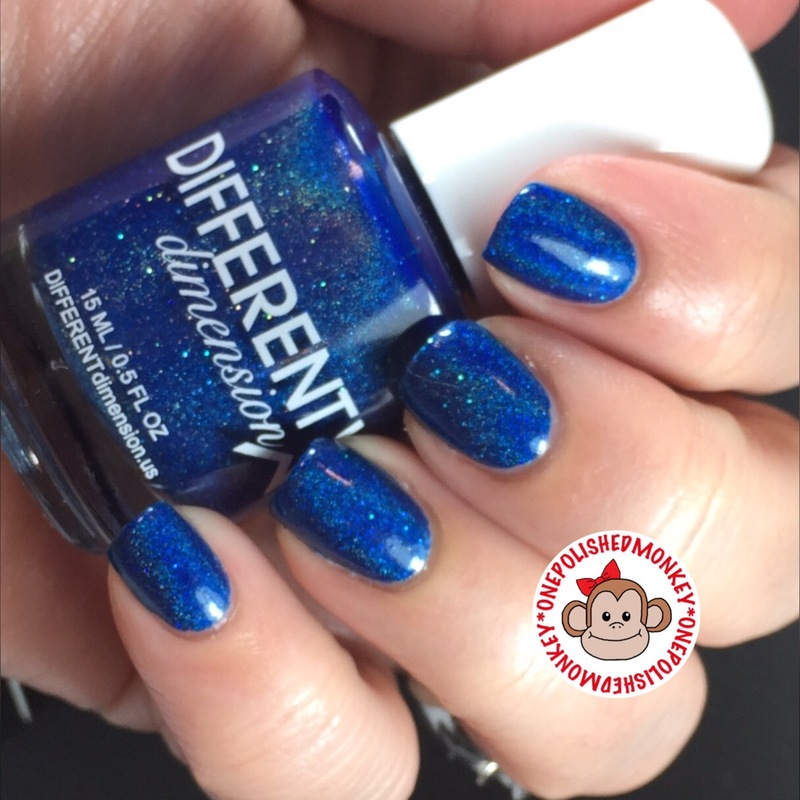 I ordered this polish when Different Dimension was having a huge 50% off sale a few months ago. I picked up all six polishes from the Cosmologically Speaking Part 2 collection. All of them are are holographic polish with shimmers and glitters added. The end result is a beautiful polish. For the base coat I used Wet n Wild Megalast Base Coat. Then two coats of Blue Shift to be completely opaque. Its topped with Glisten & Glow’s HK Girl Top Coat. 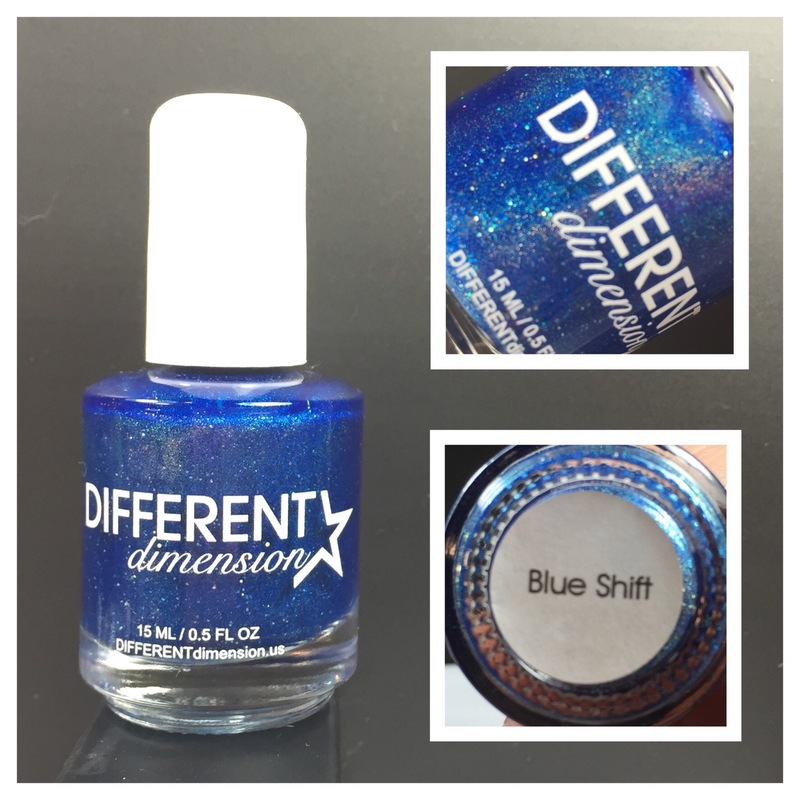 Different Dimension is a newer indie brand to me. I found out about them though Facebook when they were having their 50% off sale. 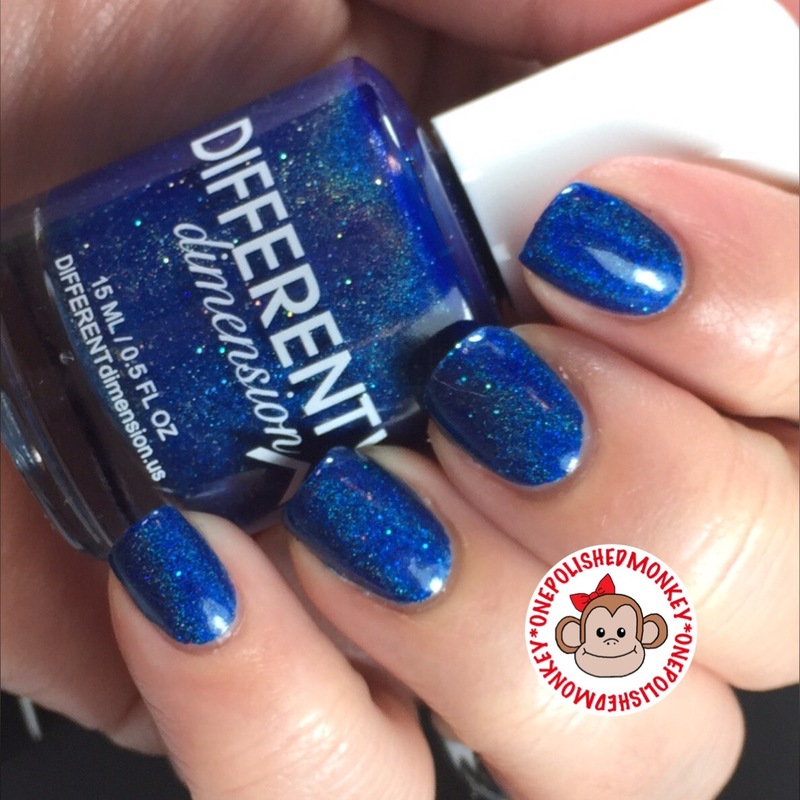 Their site is easy to navigate and has a large selection of polishes as well as cuticle oil, mystery polishes, grab bags and even a shot glass for water marbling. The majority of their polishes are holographic which is all the rage right now. Jellies, crellies, neon, holographic toppers and other finishes. What I don’t see are creme finish polishes which I am totally fine with. For me I look to mainstream brands for creme finish polishes.